President Muhammadu Buhari has been urged to give his assent to the N30,000 Minimum Wage Bill for Nigerian workers as endorsed by the National Assembly. The Kwara State chairman of the Nigerian Labour Congress (NLC) Comrade Yekeen, Kareem Agunbiade, made the call in Ilorin. Although Comrade Agunbiade described the bill as long overdue, he appreciated President Buhari and the entire members of the National Assembly stressing that both the executive and the legislative arms had demonstrated that they were labour-friendly. The labour leader also praised the Senate for its recommendation for an immediate review of the present revenue sharing formula among the federal, state and local governments. Comrade Agunbiade said with the approval from both the Senate and the House of Representatives, there was no more negotiations with workers at the state and local governments or even the private sectors as to whether or not the new minimum wage would be paid as the period of negotiation was now over. 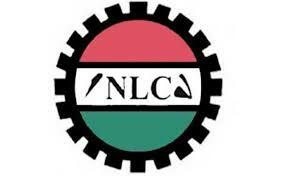 Speaking on the new minimum wage as it affects workers in Kwara state, the NLC chairman disclosed that even before the approval by the Senate, the state governor, Alhaji Abdulfatah Ahmed had set up a committee which he is a member and whose recommendations the government had promised to implement if approved by the Federal government. Comrade Agunbiade has therefore assured all civil servants in the state that they would be captured in the new N30,000 minimum wage and expressed the hope that between the end of April and the first week of May, this year, workers in the state would jubilate. The NLC chairman also quoted Governor Ahmed as saying that his administration would pay the N30,000 minimum wage before the expiration of his tenure if it was signed into law by President Muhammadu Buhari.